← So many stories of dogs in Tibet.. 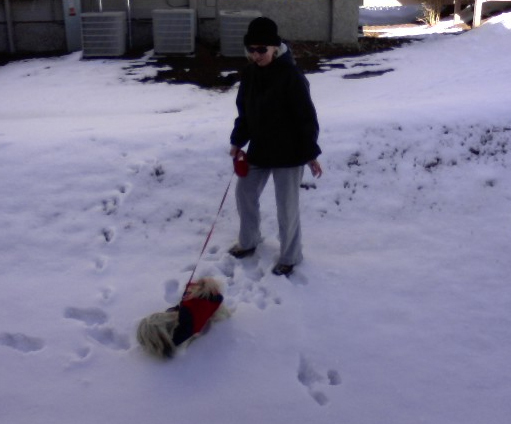 Attached are photos of Joyous Gracie playing in the snow here in North Carolina. 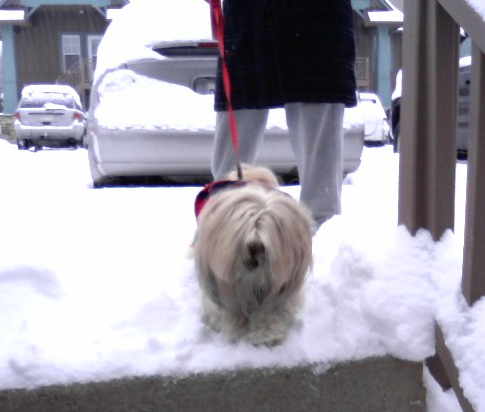 She just LOVES the snow! The move to NC has been wonderful for both of us. Thanks for much for this great little dog! She entertains me (all the time) and the neighbors, too! onto her long hair. Mom uses a hair dryer to remove the rest. 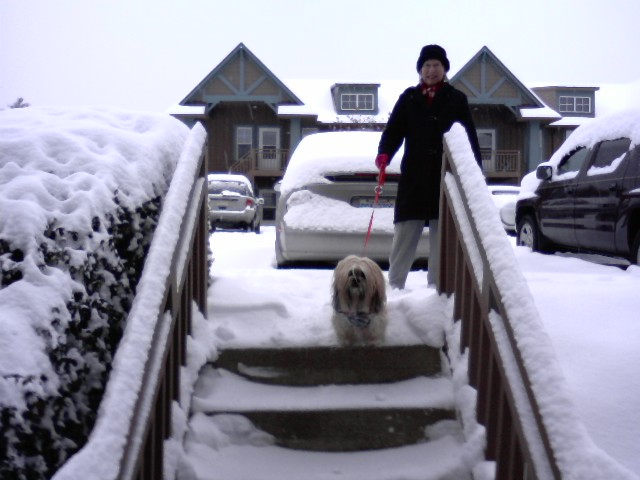 Gracie’s snow fun continues. 1/15/11.